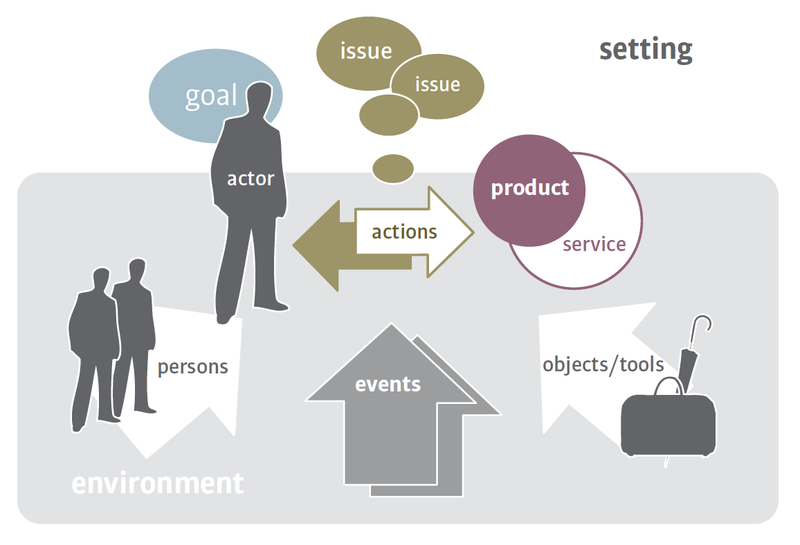 Scenarios describe the interaction between a person and a product or service in a specific context of use. Why use Scenario Based Design? Scenarios provide a thinking tool that help designers explore how design proposals might work in different contexts of use. Scenarios can also be used as a communication tool as they can serve as a shared language for communication between design team members and between designers and other stakeholders. As such scenarios accelerate an iterative design process by providing a cheap alternative to prototypes. How was Scenario Based Design developed? Scenario based design originates in the software development industry and was developed by information scientists Mary Beth Rosson and John M. Carroll (2002). 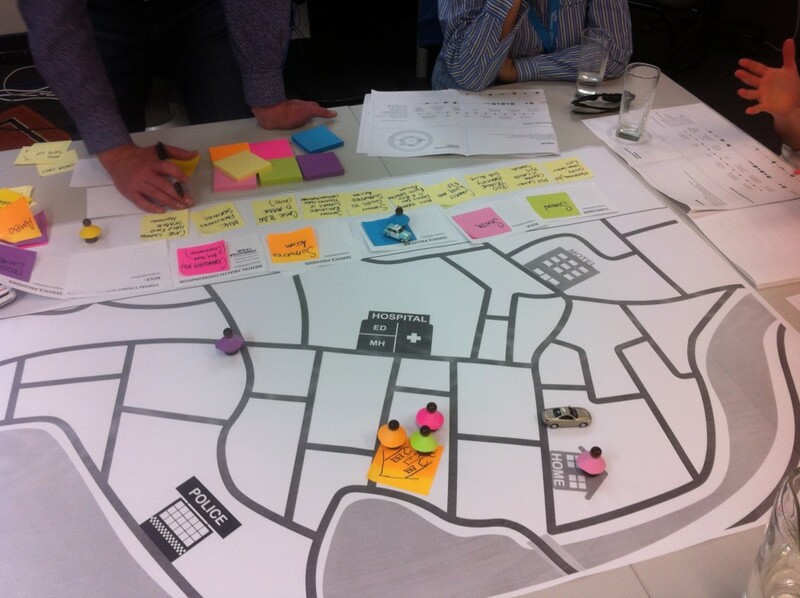 Scenario based design methods are now increasingly used by product and service designers. In my work at the University of Twente I contributed to the further development of this methodology together with my former colleague Mascha van der Voort. The use of the word scenario originates from the Commedia dell’arte in which the scenario was an outline of the play that was literally pinned to the back of the scenery. In general, the term is used to refer to an imagined course of action, event or situation. In the context of scenario- based design, a scenario is an explicit description of the hypothetical use of a product or service. Such an explicit representation of product use can involve a narrative, storyboard, animation, role-play or any other representation that shows the interaction between a specific user and a specific product in a specific context of use. Just as a sketch represents a possible future product, a scenario can be considered as a sketch of possible use. Scenarios can be generated and applied through many methods, from simple narrative writing to role-play, board games and virtual reality. Which method to select depends on the purpose of the use of scenarios (a thinking tool or communication tool), and the complexity of the design problem. Scenario based design is not only applicable to products and services in the traditional design domain, but can also be used to design interventions for complex societal problems. For example, we recently used a scenario role-play board game to design and evaluate solutions to support people with a severe mental illness in emergency situations. A scenario role-play game to develop sub-acute interventions to support people with a severe mental illness. van der Bijl – Brouwer, M., and M.C. van der Voort. “Exploring Future Use: Scenario Based Design.” In Advanced Design Methods for Successful Innovation – Recent Methods from Design Research and Design Consultancy in the Netherlands, edited by Cees de Bont, Frido E. Smulders, Mascha C. van der Voort, Rik Schifferstein and Elke den Ouden, 57-77. Delft: Design United, 2013. Rosson, Mary Beth, and J. M. Carroll. Usability Engineering: Scenario-Based Development of Human-Computer Interaction. Morgan Kaufmann, 2002.